Best Bath Store sells an extensive line of Dead Sea products. Dead Sea products contain any of the 21 minerals that can be found in the Dead Sea along with plant life that can be found along the shores. The plant life contains a high concentration of vitamins and oils as well as minerals that are also used in medicine and dermatology cosmetics around the worlds. Dead Sea vitamins, oils, and minerals are proven to aid in repairing damaged skin and maintaining healthy skin. In fact, the 21 minerals that can be found in the Dead Sea are absolutely essential for the proper functioning of skin cells. Dead Sea products are known for their healing properties and their ability to draw impurities out of the skin as well as their outstanding ability to exfoliate, moisturize, and condition the skin. 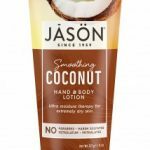 Best Bath Store sells Dead Sea bath bombs, bath salts, body bars, facial scrub, foot scrub, and a mud mask. Best Bath Store Dead Sea products contain a variety of vitamins, oils, and minerals – too many to name here. But, a good example of one of its unique ingredient combinations is the Dead Sea Mud Mask. The mud mask is made with Dead Sea mud, French green clay, grapefruit seed extract, chamomile hydrosol, organic manuka honey, white willow bark extract, vitamin E, bergamot essential oil, and potassium sorbate. Other Best Bath Dead Sea product ingredients include: almond oil, avocado oil, sunflower oil, organic honey, orange peel, apricot seeds, jojoba oil, dendritic salt, vegetable glycerin, and pure Dead sea salts. 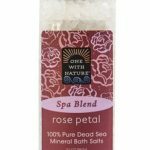 If you would like to purchase any of the Dead Sea products listed above, you can purchase them through the official Best Bath Store website at www.bestbathstore.com.com. If you would like to contact Best Bath Store, please use the contact information listed below. Best Bath Store is a signer of the Campaign for Safe Cosmetics. 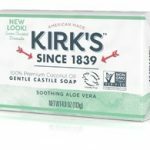 The five-person team operates a 5,300 square foot facility in Woburn, Massachusetts where they produce handmade soaps in small batches to “ensure freshness.” This vegetarian friendly company is committed to product safety. It is committed to producing products that are made from 100% natural ingredients with respect to the animal, plant, and human life. The company does not test any of its products on animals, nor does it purchase ingredients that have been tested on animals. In fact, the company only tests it products on employees, friends, and family. The Best Bath Store facility is a 100% green power operated facility. The company’s electricity is generated by wind power, it hand packs, labels, and seals all of its own products, and the company recycles all bulk containers and packaging from its own raw ingredients. The company also utilizes reusable shopping bags to stop the use of plastic disposable bags. Because the Best Bath Store is cruelty free, it works closely with PETA (People for the Ethical Treatment of Animals) to help stop and prevent animal cruelty around the world. Best Bath Store is also a Proud Signer of The Compact for Safe Cosmetics. 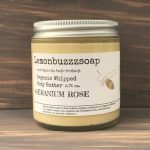 In addition to Dead Sea products, Best Bath Store sells all natural, luxury bath and body products including body bars, bath salts, lotions, bath bombs, skin care products, and hair care products. Best Bath Store products contain a large number of vitamins, oils, and other natural ingredients. These include: olive oil, palm oil, coconut oil, cocoa butter, avocado oil, castor oil, shea butter, soybean oil, dry rosemary leaf, eucalyptus, aloe vera, almond oil, vegetable glycerin, vitamin E, potassium sorbate, sunflower oil, geranium essential oil, grapeseed oil, chamomile extract, lemon oil, tumeric root, nutmeg, lime oil, clove bud, lavender essential oil, calendula flowers, cinnamon, neem, wheat germ oil, sweet orange essential oil, ginger, and palm kernel, to name just a few. Please note that while Best Bath Store products are mostly vegan, a few products may contain raw honey.